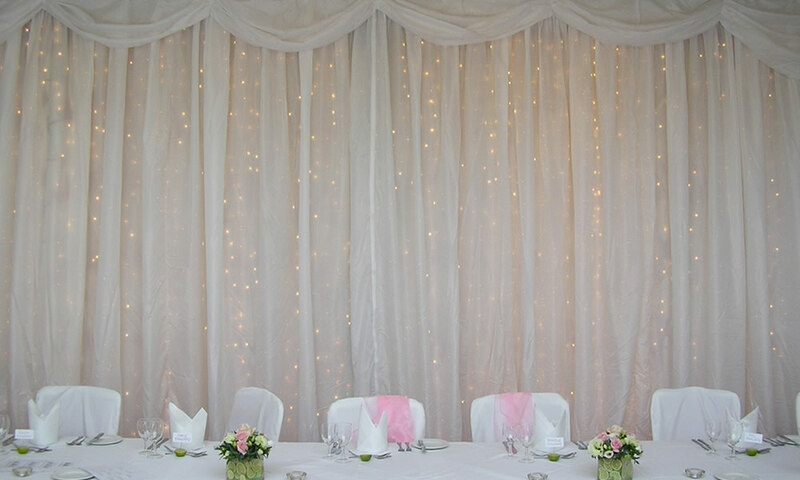 This style of wedding drape is perfect as a Top Table backdrop, or simply to create a focal point within the venue. The free standing/self supporting system requires no attachments and is able to be positioned almost anywhere. A simple yet stunning way of creating the ideal backdrop for your band or dj. 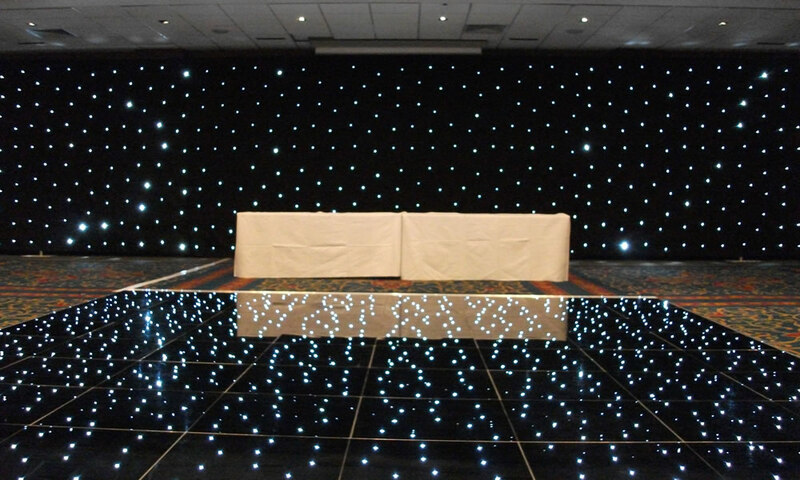 The starcloth is also used to distinguish the dance area within the venue. A brilliant party drape idea. 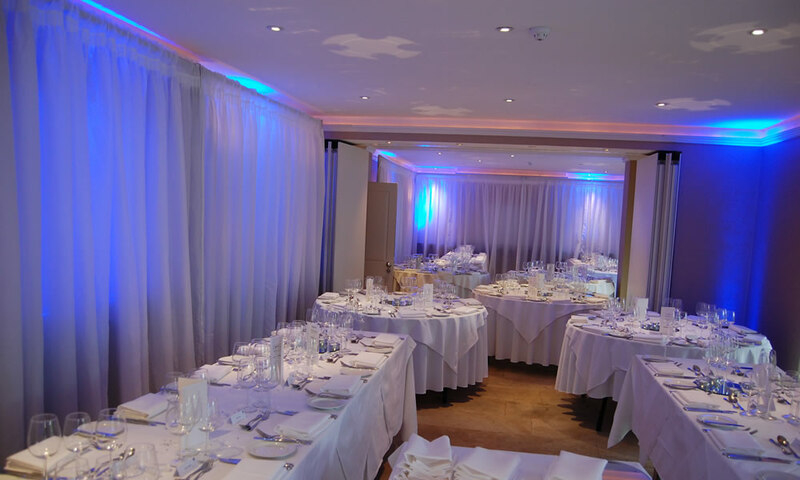 This Venue dressing is the ideal way of transforming any bland hotel suite, or tired looking village hall into the venue of your dreams. 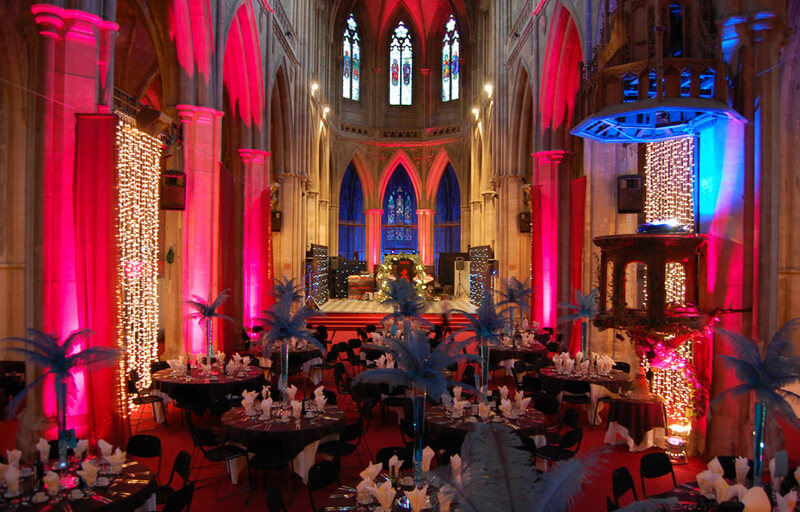 The addition of coloured lighting certainly helps create the wow factor. The free standing/self supporting system requires no attachments and sections are joined together to create the required width. 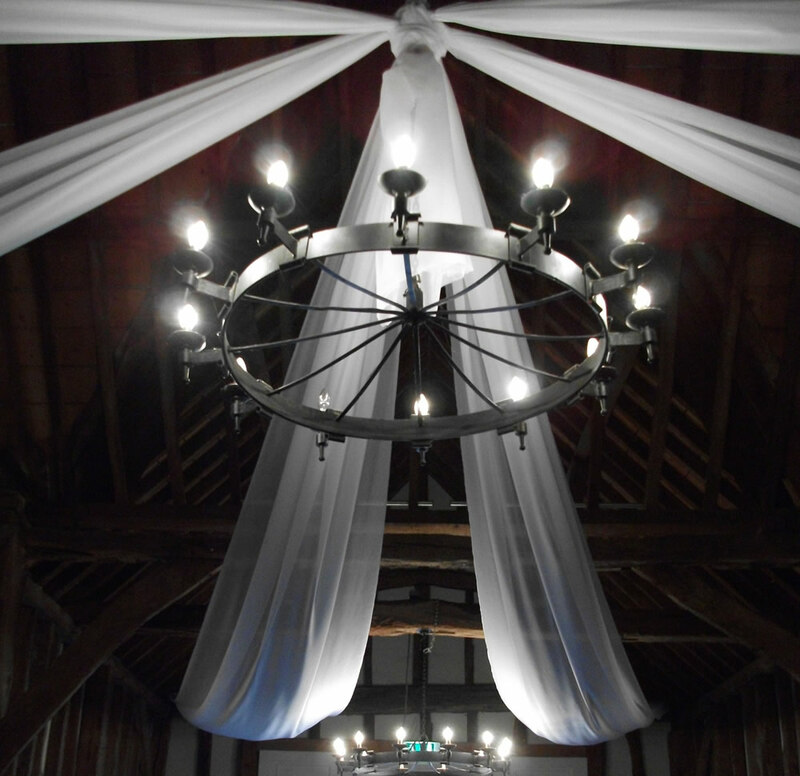 There is no better way of creating a ‘Fairytale feel’ than ceiling drapes, these decorative venue drapes are attached at a central point of the venue and ‘fan out’ to the outer edges. These can be used on their own, or with the addition of Fairy lights. Either way, the effect is outstanding. The perfect venue decoration. Available in sections of 4 or more, and in various colours.